Have you ever wanted to be able to find constellations in the night sky? Then, here are some helpful hints for finding a set of constellations that wrap around the earth in one big circle! The group of constellations covered in this tutorial is known as the Zodiacal Constellations. 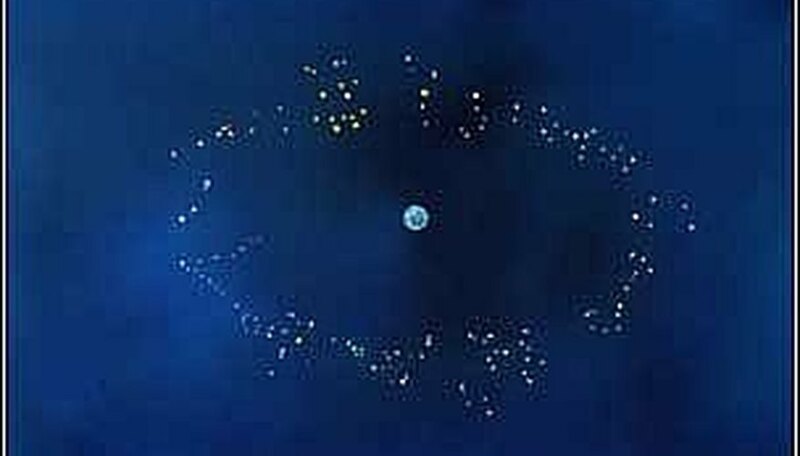 There are twelve constellations that make a ring around the Earth. To astronomers, this band is called the Ecliptic, and is the path the Sun and the Moon both appear to take around the Earth. To astrologers, this imaginary band is what governs many of our personal traits. When an astrologer says that your Sun is in Cancer, this means that at the time you were born, the Sun appeared to be in the constellation Cancer. Because of this, you cannot see the constellation representing your birth sign on your birthday. Instead, you have to wait a few months until the sun has moved a sufficient number of signs away. With this set of directions, you should be able to find all of these with great ease! Happy stargazing! Taurus (the Bull)- This constellation appears to be a "V". It is most easily found by looking at Orion's belt stars (three stars in a line). 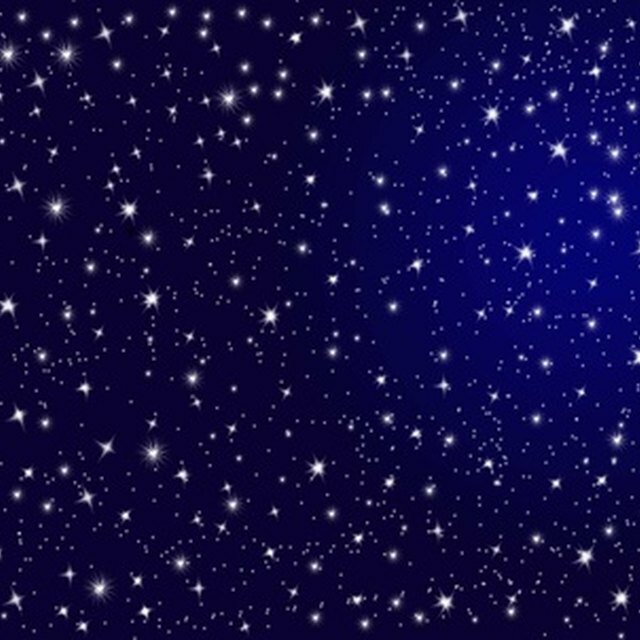 Trace a line through these stars and follow it to the right until you hit a bright red star. This star is called Aldebaran, and is the eye of the Bull. The "V" it is part of is Taurus. Gemini (the Twins)- This constellation can also be found by using Orion. When looking at Orion, you will see the three belt stars surrounded by four stars marking Orion's feet and shoulders. The lower right star is the bright blue star Rigel. The top left star is the red giant Betelgeuse. Starting at Rigel, going through the middle belt star, onto Betelgeuse and continue in this line will bring you to two stars of equal brightness. These are Castor and Pollux, the stars that make up Gemini. Cancer (the Crab)- This is the single hardest constellation to find in the night sky. It requires a completely dark sky. The constellation itself looks like an upside-down "Y". The best way to find Cancer is to find Taurus and Gemini, draw a line through them and continue on to the left until you come to a big empty spot in the sky (it won't take long). The big empty spot is Cancer! Leo (the Lion)- Using the same method you just used to find Cancer, keep tracing that line until you hit a backward question mark followed by a triangle. This is the stately Leo. The bright star at the end of Leo's tail is Denebola, which means "the tail". If you cannot find Taurus and Gemini, use the Big Dipper to help you find Leo. Use the two pointer stars that help you find the Little Dipper, only this time trace them away from the North Star. These two stars will lead you to the triangle part of Leo. Virgo (the Maiden)- This is another constellation that is easily found off the Big Dipper. Start with the Big Dipper. Trace the handle away from the "bowl", and follow the arc to the bright star Arcturus. From there, continue on to the blue star Spica. Spica appears to be the center of a "Y"-shaped constellation. This constellation is Virgo. Libra (the Scales)- Another constellation best located using the "draw a line around the sky" method, Libra looks like a square standing on one corner. The fun part of this constellation are the stars to the left. Both have rather long Arabic names: Zubenelganumi and Zubeneshameli. Scorpio (the Scorpion)- Again, draw an imaginary line through the constellations you have already located until you reach a constellation that looks like a fishing hook with a bright red star in the middle of it. The star is Antares, and the constellation is Scorpio. Scorpio has been an important constellation to the people living in the Pacific Ocean. It has been a point of reference for fishermen moving between islands so they could find their way home. Scorpio was also well-known to the Ancient Greeks, and is possible proof of precession (the idea that the night sky has changed over time). The Greeks told a story about the mighty hunter Orion, a favored companion of the goddess Artemis. She spent so much time with him that her brother Apollo became jealous. One day, when Artemis was off with her hunting maidens, Apollo sent a huge scorpion after Orion. A battle ensued, and as Orion was turning to escape the scorpion, it stung him and killed him. When Artemis learned of her friend's death, she was furious with her brother. To make amends with her, Apollo helped her hang Orion in the sky, but he also hung the Scorpion to remind her of the power of his anger. The two played chase around the sky. Today, they still do, but they are never in the sky together. Sagittarius (the Archer)- Beside Scorpio is a cute little constellation that looks like a teapot. This is Sagittarius. A great way to help people see this constellation is to sing the Teapot Song while tracing Sagittarius. When you get to the part that says, "Tip me over and pour me out," trace the "steam" that appears to go through the "spout" of Sagittarius. This is the Sagittarius arm of the Milky Way, and when you look at it, you are looking toward the center of the galaxy. Capricorn (the Goat)- Use that line-drawing method you have been mastering all year to get from Sagittarius to Capricorn. The best way to describe this constellation is to share its common nickname: the "Marilyn Monroe" smile. Capricorn literally looks like the outline of a big smile. Another way to find this constellation is to locate the triangle that the Milky Way goes through. This is the Summer Triangle, and it points right at Capricorn. Aquarius (the Water Bearer)- This is another tricky one to find. Use your line-drawing technique to draw a line from Capricorn to an oval shape of pairs of stars. This is the flowing water of Aquarius. Pisces (the Fish)- This one is tricky, but fun! Use the line-drawing technique to get to a big square (this is a really big square). You are looking for stars that go along two sides of the square, outside the square, that will meet at one corner of the square. At each end of these lines should be a round shape. This is Pisces. It is tricky to see exactly which stars belong to Pisces, and which belong to its fellow constellations Pegasus (the big square) and Andromeda (a "v" off one corner of Pegasus). Aries (the Ram)- This constellation can be found by drawing lines from either Pisces or Taurus. It is the small triangle that is not beside Andromeda (there are two in that area). Generally speaking you can never seen more than four to six of the Zodiac Constellations in the sky at the same time, but if you are patient, you can see as many as six to eight as the night goes on. braniac. "How to find your zodiac in the sky." Sciencing, https://sciencing.com/zodiac-sky-2136263.html. 24 April 2017.